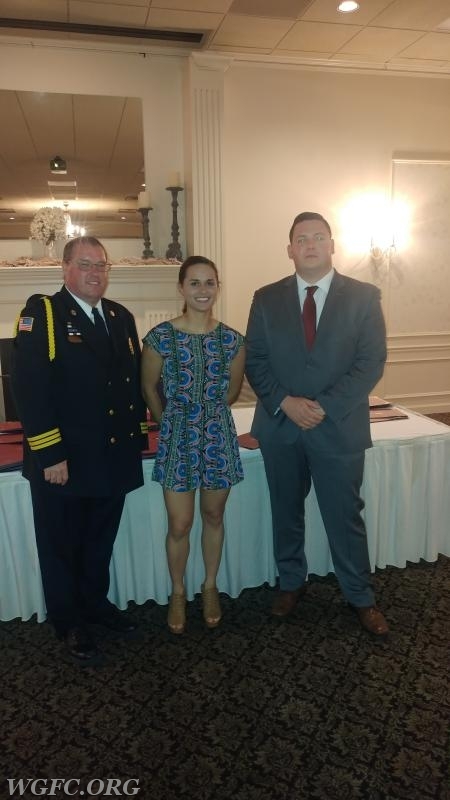 The Annual Chester County EMS Awards Banquet, sponsored by the Chester County EMS Council, was held at the Red Clay Room, and several West Grove Fire Company Members and Staff were among the award recipients. 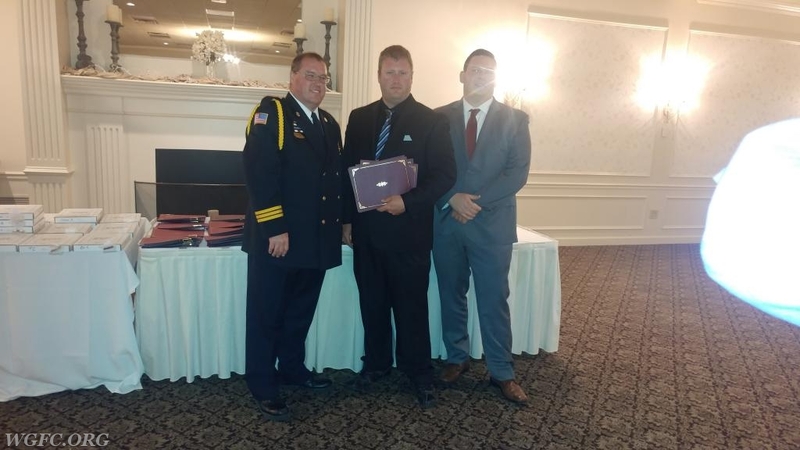 A clinical save commendation is awarded to a member of the Emergency Services Community involved in a pre-hospital clinical save of a patient who initially is pulseless and apneic; intervention and/or treatment was rendered and the patient was discharged from the hospital. 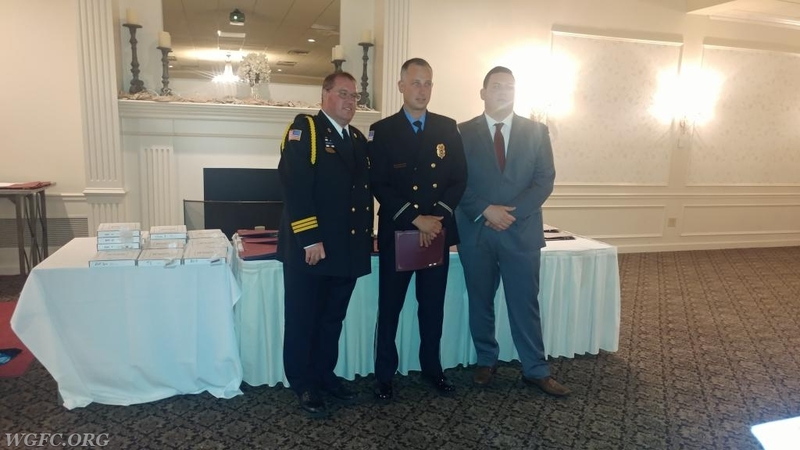 We are proud to announce the following personnel received Clinical Save Commendations: Michael Groover, Robert Cazillo (2), Kevin Sweeney, Andrew Vattilana, Kathleen Brown, Cody Meade, Brandon McGonigal, Geoff Burkhart, Nathan Delestienne, Keith Laws (2), Kourtney Kluczynski, Brian Vickers, Dan O'Connell, and Rick Franks. 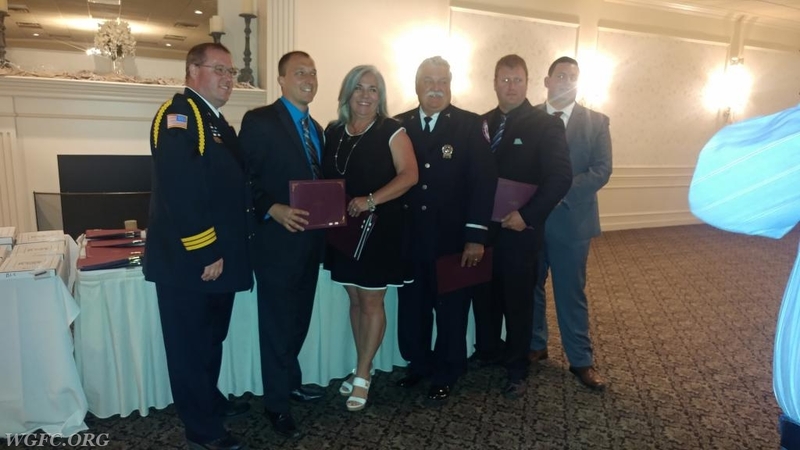 Congratulations to all of the award recipients and keep up the great work!